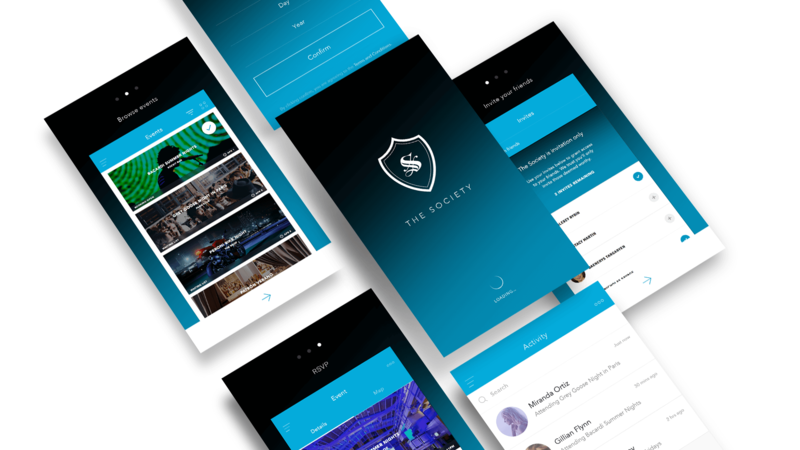 The Society is a platform that allows members access to exclusive, branded events while providing wine, beer, and spirit companies with a collaborative online platform to effortlessly manage the entire event process. The platform closes the data gap between liquor suppliers, agencies, and liquor consumers. Mobile users can intuitively find and attend events where complimentary drinks will are served in exchange for basic information, RSVPs, and proof of attendance. Geofencing is used to confirm individual attendance drawing critical insights on event attendees. Liquor suppliers and their agencies will be able to review and download this data from a simple desktop application. Creative Strategy; User Experience Design; Wireframing; Prototyping; Visual Design; Mobile Design; Product Design. The design of the consumer-facing mobile application centers upon invoking a sense of exclusivity. 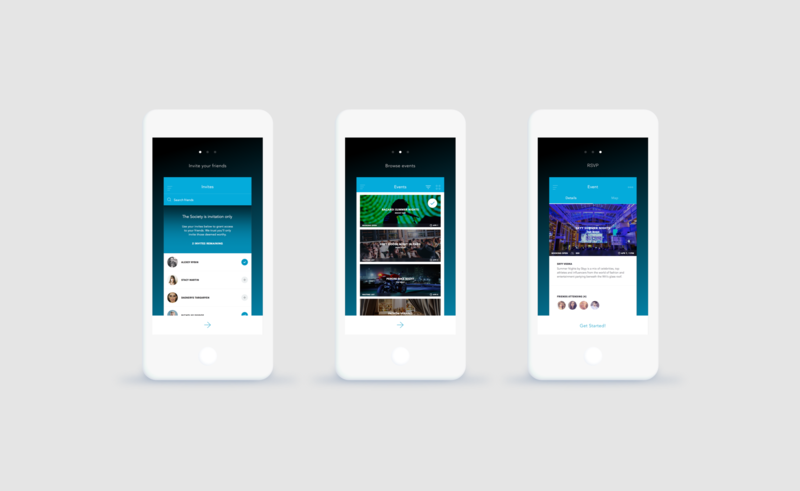 An elegant user interface houses all published promotional events for users to browse, filter, and RSVP directly from their smartphone. Compelling imagery, content, and seamless interactions create an engaging and intuitive browsing experience. Facebook integration means that social data is captured for tracking, while simultaneously allowing users to interact with their friends. Additional mobile features include dynamic filter options for events, Google Maps integration for step-by-step directions, and post-event rating. 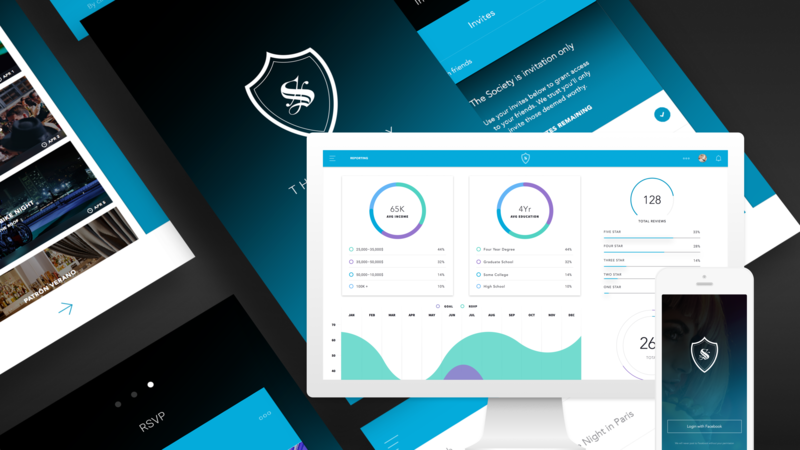 With the design of the desktop application, our goal was to create an experience that allowed beverage brands to connect with their target audience. Users needed the ability to plan and create events based on demographic and geographical data, collect actionable data for future events, and ultimately build brand loyalty. 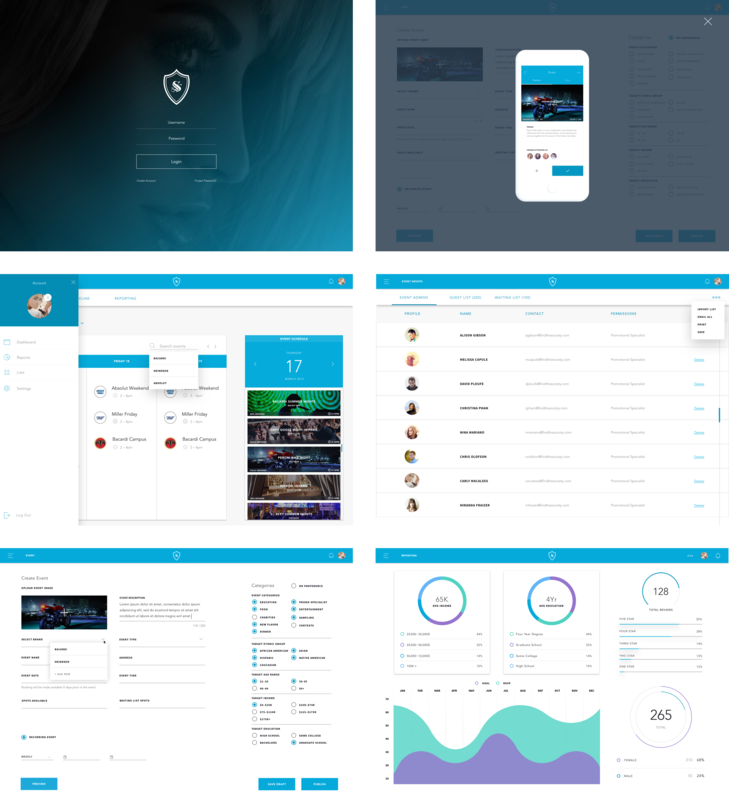 Research revealed that users wanted the ability to create, update, and monitor events in real-time. Thus, design efforts focused on creating an experience that allowed users to complete a task with as few clicks as possible. A particularly noteworthy feature is the ability to preview events from the perspective of a mobile device prior to pushing the event live. The Society offers beverage companies a simple and intuitive solution to track event performance with meaningful data. For the first time, the alcohol industry will have the ability to establish greater brand loyalty by optimizing promotional spending–creating broad awareness for product launches and generating buzz around events. 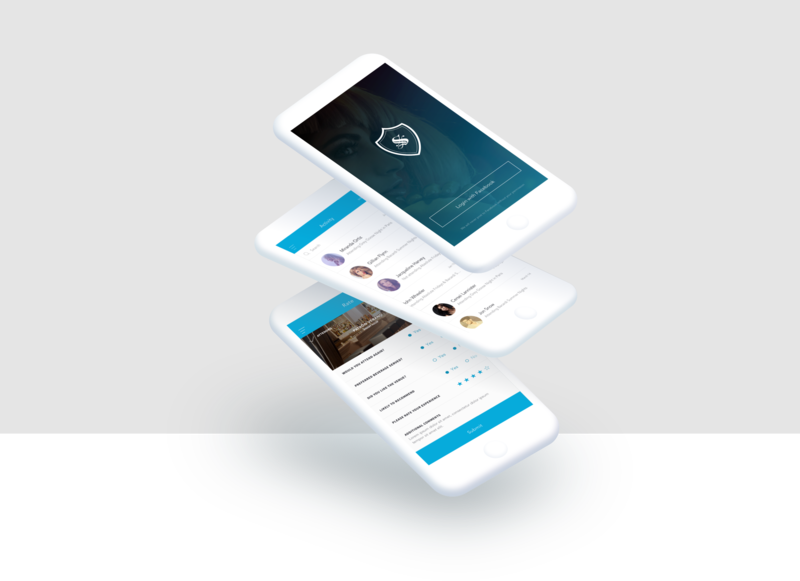 In turn, the mobile application provides users with a unique sense of exclusivity by allowing them to enroll in a "member's-only" platform that grants them access to the most coveted events.